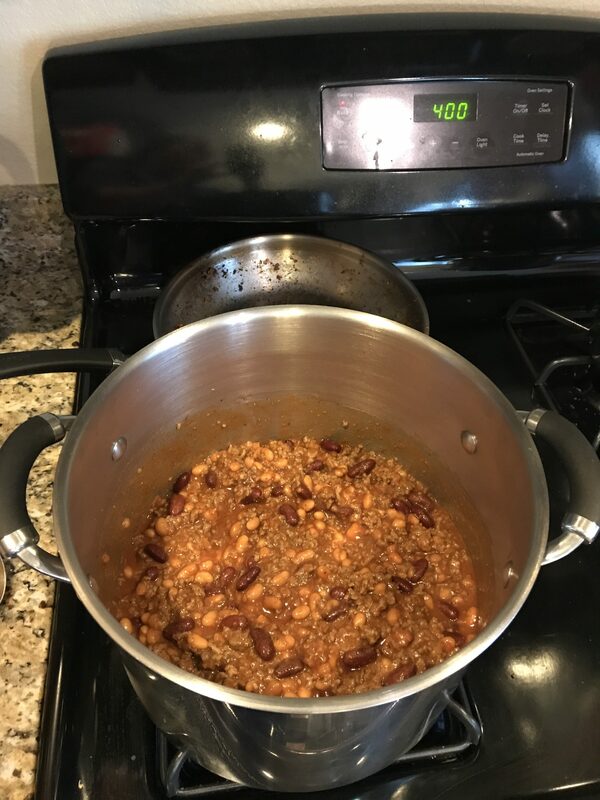 This is an easy and delicious recipe for a cold day. 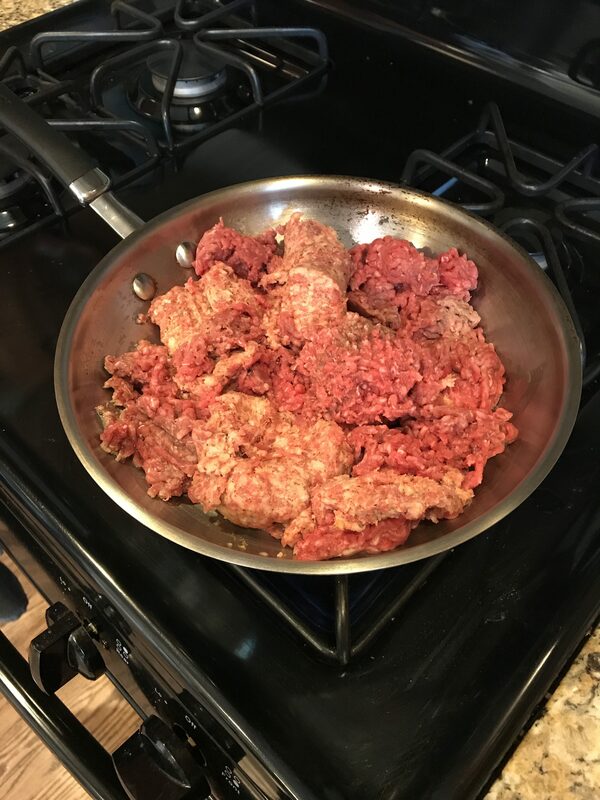 You can use ground beef or half ground beef and half sausage. The sausage gives it a little more flavor. 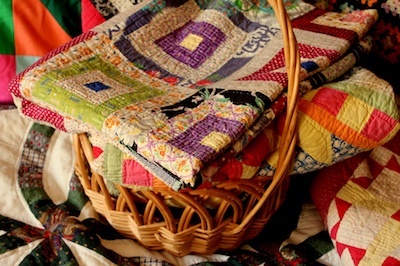 I love serving it with cornbread muffins or French bread slices. It’s a hit with my family. My two year old even eats it! 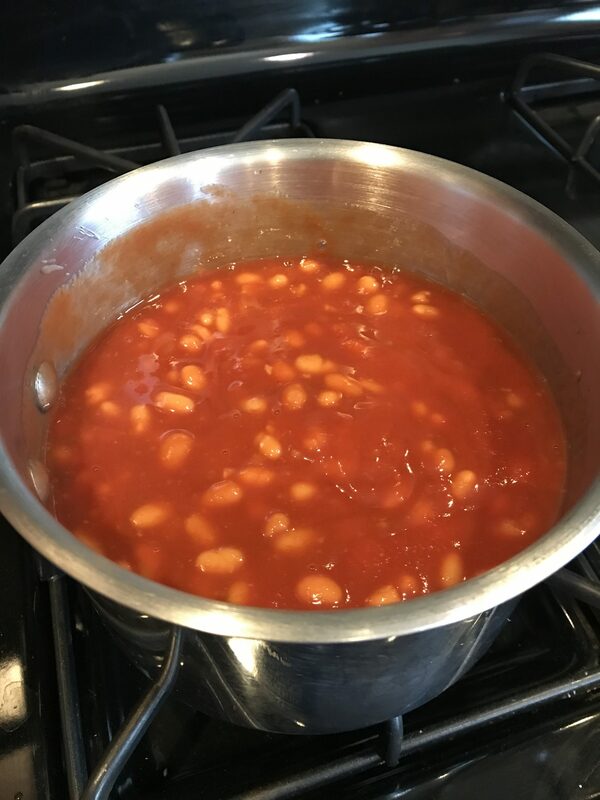 Combine pork and beans, kidney beans, and tomato sauce in medium saucepan and simmer. Brown hamburger, onion, and garlic. Drain. Add sugar, chili powder, and cumin to the meat. Add meat mixture to the bean mixture, and mix well. Simmer for 10 minutes or until heated through. Sprinkle parmesan cheese on top when serving (optional). Almost time for peach thinning! Mmm – looks delicious. 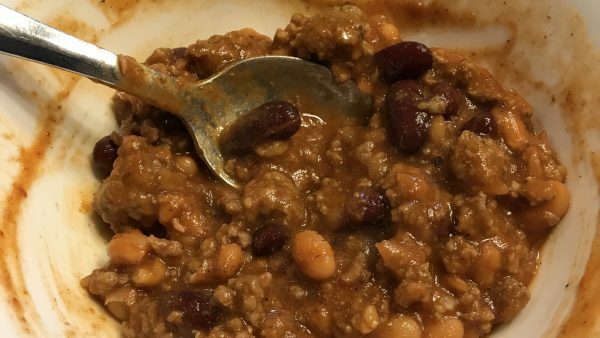 I make mine pretty similar except I use low/no sodium products and I’ve never tried using pork and beans – usually kidney or chili beans. 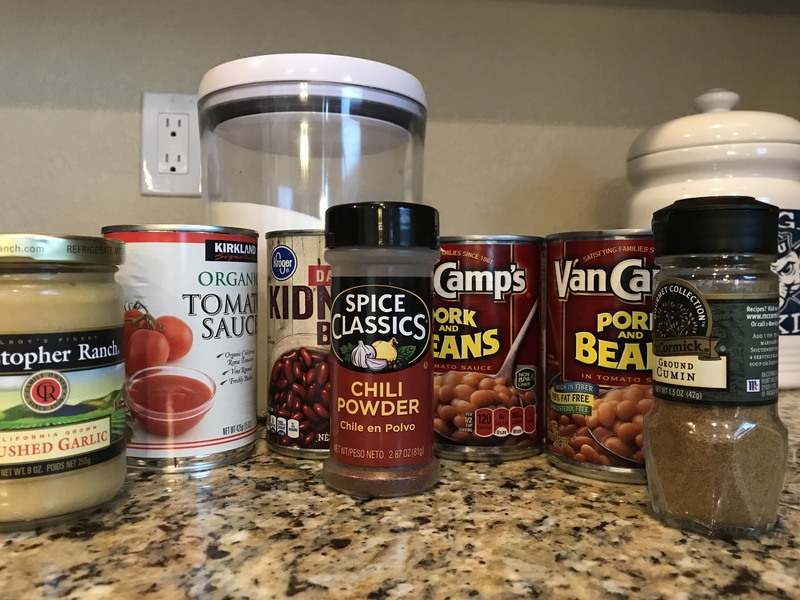 If I can find no/low sodium pork and beans I will give it a try next time and I had not thought of using half sausage – good idea. I always use cumin in my chili and tacos, it’s a favorite flavor of our family. Thanks for sharing your recipe.